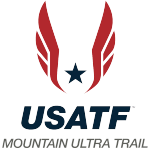 Once again, the American Trail Running Association (ATRA) was present at one of the classic trail races in the state of Colorado to kick off the trail running season, the Run Through Time Marathon & Half Marathon, in the picturesque mountain town of Salida. One never knows what weather the participants will face but the temps were in the high-40s at the start which cleared to a beautiful sunny Colorado “winter” day shortly after, treating runners to epic views on some of the most spectacular Salida Mountain Trails and the surrounding snow-capped peaks of Monarch Mountain. This was the 13th running of the Marathon, Half Marathon and 2 Mile Fun Run supported by Chaffee County Running Club and at the helm was new race director, Kristy Falcon. With key support from local businesses and organizations Amicas Pizza, Salida Mountain Sports, Wood’s Distillery and Salida’s new running specialty store and new ATRA corporate member, 7000 Feet Running Company, this race has huge support of the local community, making it favorite amongst trails runners from around the state. In the marathon, local Salidan Shannon Daileader Jones (4:24:56) defended her marathon title from the previous year with Julie Berteletti (4:30:53) taking the runner-up spot and Sara Omamn (4:35:23) coming in at the third position. Multiple-time men’s marathon winner, Timmy Parr, again took the title in 3:19:34, with Frank Pipp (3:2615) and Marcel Such (3:28:33) taking the second and third place positions, respectively. In the half marathon, local legend, high school coach and founder of the National High School Trail Championships, Kenny Wilcox captured the win in 1:37:17 over second place Thomas Zirbel (1:41:02) and Pikes Peak’s Barr Camp caretaker, Jonathan Lantz (1:44:10), rounding out the top three. The women’s half marathon witnessed Sandi Nypaver extend her winning streak in 1:49:44. Ruth Waller followed closely behind in 1:51:18 with Courtney Nohr (1:55:17) taking the last podium position. Can’t get enough Peter Maksimow and Alex Nichols? 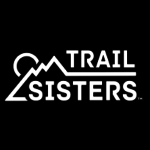 Check out their Western States or Bust series of videos on our YouTube channel. Alex Nichols tearing up the Salida trails. Photo by Peter Maksimow. More photos by Daniel Flanders are here. Photos by Tim Bergsten & PikesPeakSports.us can be found here and here and here too! More photos by Peter Maksimow/ATRA are here. 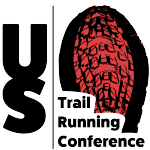 Complete race results are posted here.